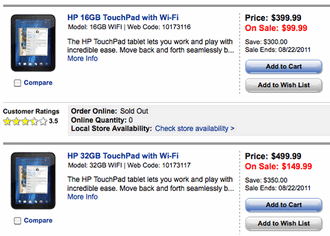 HP will be lowering the price of the TouchPad beginning Saturday 8/20/11. This is the lowest price ever for the TouchPad so please post it as soon as it goes live. 0 comments on "HP cuts TouchPad price to $99"